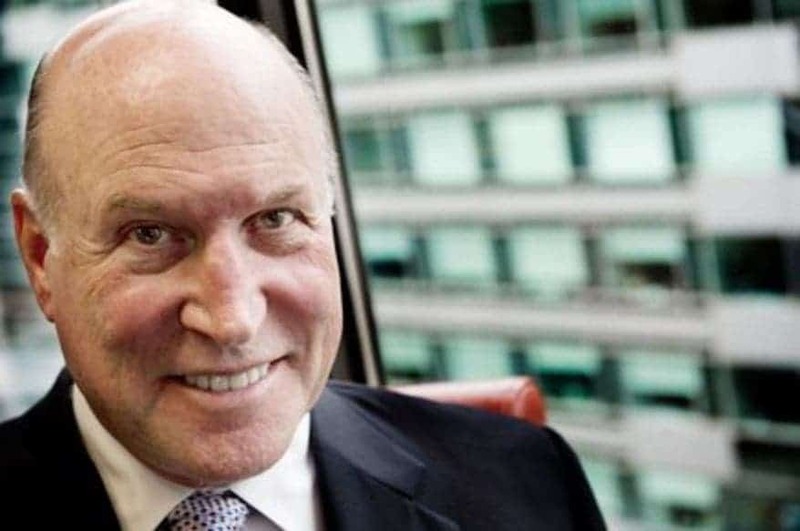 In a room filled with oil & gas executives, a veteran lobbyist called Richard Berman held a crash course on how companies can use scare tactics and manipulation to make environmental groups look like radical morons. This includes digging up dirt on opponents (celebrities are the focus), exploiting basic emotions like fear and anger, skewing information and other dirty tactics, because in the end “you can either win ugly or lose pretty,” Berman said. Of course, these things would have never been admitted in public, but unbeknownst to Berman the whole meeting was taped by one of the executives who found the whole affair appalling, then made public by the New York Times. Richard “Rick” Berman is well known in Washington, being a PR specialist and long time lobbyst operating through his consulting firm, Berman and Company, Inc. In the past couple of years he’s been involved with almost 50 campaigns lobbying for powerful interest against environmental groups. Some of these campaigns include “PETA kills animals” ( smears People for the Ethical Treatment of Animals and promotes negative information about the group’s practices), “Stepup Wyoming” (attacks Wyoming’s teachers union and advocates for anti-union legislation), “NO Drink Taxi” ( opposes federal, state, and local attempts to increase taxes on alcohol), “Minimum Wage” (opposes all federal, state, and local efforts to raise the minimum wage, and promotes misinformation about the consequences of minimum-wage increases), “EPA Facts” (disparages the Environmental Protection Agency and claims that environmental regulations will hurt the economy), and many other shady and distasteful attempts to manipulate the public. This message is turning really old, really fast. Just like in the case of Berman previous campaigns he’s using an old trick: just take what the other side is saying and pin it on them instead. Of course, Berman has other tricks as well, as he revealed at the meeting where he schooled the oil execs on what PR is all about (full transcript of the meeting). We’re not experts and so you don’t want them [the general public] trying to be experts. But if you put enough information out there and say, “Well it could go to $10.10, but you could also lose a lot of jobs, the Congressional Budget Office says you can lose a lot of jobs.” And again, we got a lot of ads on this thing. You get in people’s mind[sic] a tie. They don’t know who is right. And you get all ties because the tie basically insures the status quo. That’s common knowledge. And that comes from people hearing something enough times from enough different places, people repeating it to each other, that you reach a point where you have solidified your position. If we can solidify the position on drilling, fracking, etc. We have achieved something the other side cannot overcome because it’s very tough to break common knowledge. …And so we put this ad in the New York Times, and basically said, “Hey, you ought to be concerned about the health care bill.” But, we didn’t really say “why”. All we said is “seniors might have to pay more money”, or “your premiums might go up”, but there wasn’t any fact here. So this is an attempt at creating public opinion about something. Kind of soft top-line. People always ask me one question all the time: ‘How do I know that I won’t be found out as a supporter of what you’re doing?’ ” Mr. Berman told the crowd. “We run all of this stuff through nonprofit organizations that are insulated from having to disclose donors. There is total anonymity. People don’t know who supports us. Fear and anger have to be part of this campaign. If you want to win, that’s what we’re going to do. We’re not going to get people to like the oil and gas industry over the next few months. Concerning the hypocrisy angle, here are some of the ads Berman is currently running. A billboard attacking Robert Redford’s, a public figure who has been outspoken against fossil fuels and is actively calling for more renewable energy in the mix. Apparently, he has to walk or ride a bike to events to be taken seriously. Another video ad is centered on Leonardo DiCaprio, famous Hollywood actor who has donated tens of millions to environmental projects. But he’s a hypocrite too. He didn’t even win an Oscar (failure), but thinks he’s better than any of us. Needless to say, the whole video is pathetic; a collage of scenes from DiCaprio’s movie and a completely out of context shot from DiCaprio’s UN speech meant to convey the same message: “Look at this prick! He’s trying to save freaking whales, but he owns a yacht!” The natural reaction (if this is what you’re thinking already and just needed some support) follows: people like DiCaprio, and all environmental activists by association, are spoiled radicals or anarchists. Then there’s the most pathetic ad of them all (and Berman has a few). So, what we’re seeing is a typical environmental meeting staged in a garage (broke losers). Tonight’s hearing is about fracking, after last time they debated whether or not the moon was made of cheese (lunatics). Then, the discussion quickly escalates: i think fracking makes me fat (preposterous link – they have no idea what they’re talking about), “oh, i used the gogal last night to research fracking” (another moron who reads environmental propaganda on the internet), “lately, Mr. Snuggles won’t even give me a kiss at bedtime! I know fracking has something to do with it”, cries the group retard (no comment). Then the second part: data, numbers, people in suits working on important stuff. These are real professionals. “EPA says fracking is safe” and “[whatever study] says banning fracking will cost 68,000 jobs!” Coloradans should listen to the experts. Working on something shady? Doesn’t matter if your products or services are a health hazard to the public. Berman’s your man! There’s no corporate interest in the detriment of common people that he won’t take on, for the right price. But really, it’s easy to pin him as the poster boy of all that is evil, we shouldn’t forget though that he’s only a proxy. Not all oil execs are bad guys (some say), but a lot of them hire people like Berman to do their dirty work. And they should be ashamed of themselves.